Add color and scent to your home during these long winter months, with these wonderfully scented potted houseplants. Gardenia - Known for being one of the most fragrant flowers around, gardenia is lovely, but tricky. 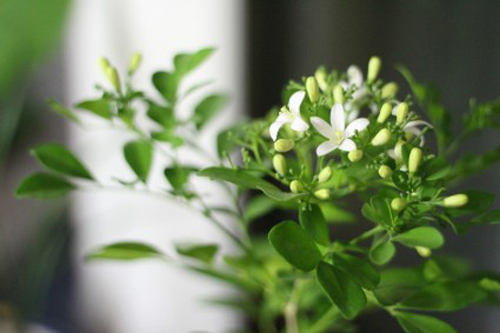 It's glossy green leaves put the spotlight on the single or double white flowers that emit a heavy, flowery scent. 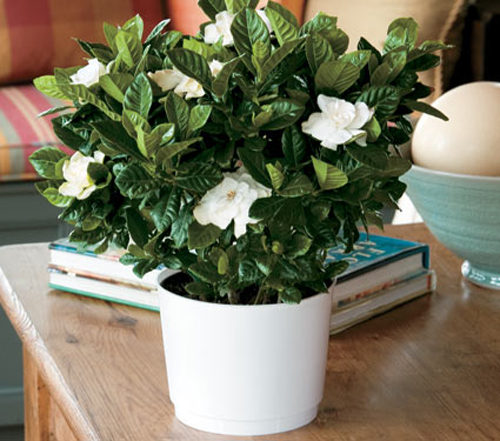 A potted Gardenia prefers a humid, very bright environment. Water & fertilize and let the soil dry between watering in the winter months. Protect it from hot and cold drafts. Stephanotis - If you have never smelt this plant you are missing out. It's delightful floral fragrance is wonderful and is used many times in wedding bouquets. Lovely starry white flowers look like they were dipped in wax. As an indoor potted plant you want to place it in a bright spot away from drafts. 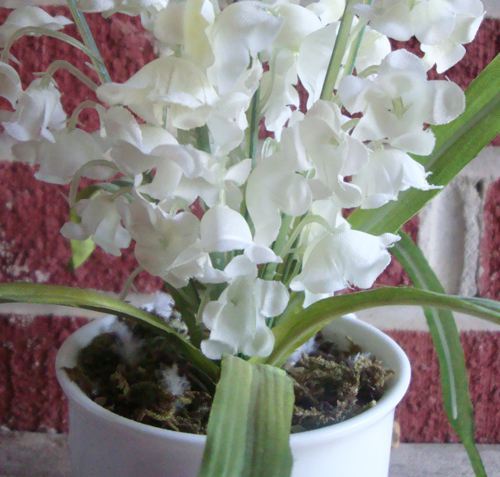 It has a slow growth rate when potted and placed indoors. Orange Jessamine - This indoor potted houseplant makes a beautiful foliage when it now flowering so it's beautiful year round. It's fragrance is heavenly when the white flowers bloom and smell like orange blossoms. You don't need bright light but keep it away from drafts. Perfect potted a kitchen counter! Read more..... Let's pot an evergreen tree. Read more..... How to overwinter geraniums. potted houseplants, fragrance plants, planters, containers, terracotta, home & garden containers.